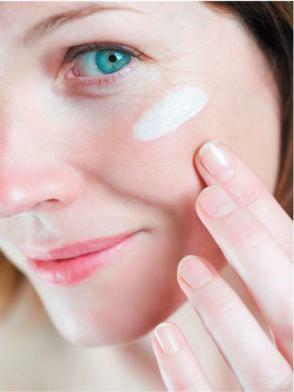 What is the Best Time of Day to Apply Skin Care Products? It can be confusing as to when to apply certain skin care products to obtain the best efficacy. So don’t feel guilty if you are rushed in the morning and only apply suncreen on your face. According to Dr. Jenny Kim, assoc. prof of derm at UCLA, “research has shown physiological changes that happen at night may enhance the effectiveness of some creams. Skin temperature rises, as does water loss leading to slightly drier skin. If your water loss is higher, theoretically due to less of a skin barrier, a moisturizer can improve the skin barrier. Also, nocturnal blood flow in the skin appears to be higher, which could help spread the area penetrated by any given cream. When blood flow is increased to skin, surface area of the absorption will increase, presuming that ingredients are actually absorbed and are still active after penetration”. I prefer my Vitamin C in the AM followed by suncreen. Retinods in the evening. If you do chose to use your Vitamin C in the evening, alternating nights with a Retinol product is an effective anti-aging protocol. And if you do not use a Vitamin C, I strongly suggest using one. Vitamin C is a Hydroxyacid and anti-oxidant which plays a key role in collagen synthesis. Skin care products are easy when you understand their function. Sunblock and anti-oxidants protect you from the sun, so they go on in the morning. Other products are usually designed to stimulate collogen or exfoliate the skin and are best used at night. Another helpful tip is to apply product from thin to thick, so that means wash, tone, serum, then cream. Hope that helps simplify this issue. Thank you for helping to educate people about proper skin care. This is accurate and useful information. Pingback: Ageless Elaine » Blog Archive » IS TIMING EVERYTHING?